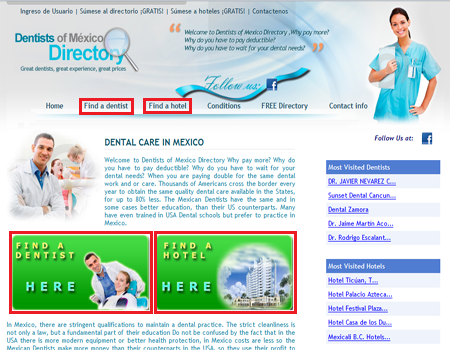 Welcome to your Dentists of Mexico Directory help page. 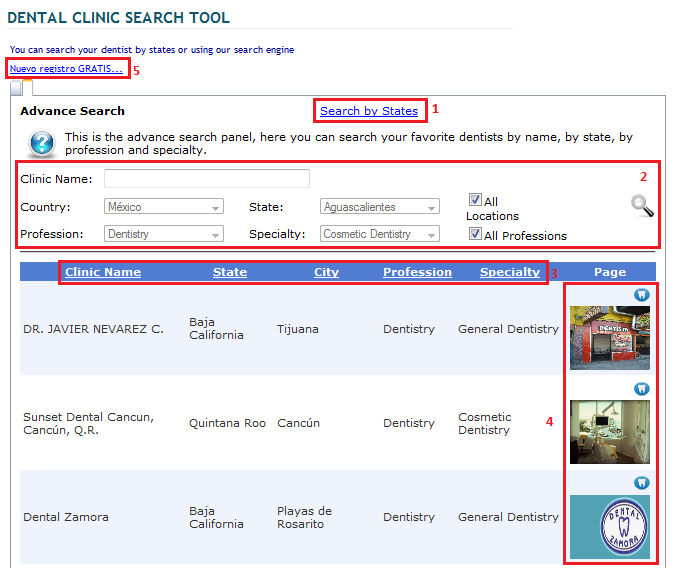 This tutorial will help you to use our Dentists and Hotels search engine tools, navigate between the dentists and hotels profiles to see their content and information, how to create a request appointment and how to create your own Dentists of Mexico Directory profile for FREE. If you click on Find a dentist link or image you will be redirected to our Find a Dentists search engine tool. If you click on Find a hotel link or image you will be redirected to our Find a Hotel search engine tool. 1. You can search your dentists or hotels by simply click on the state in the states list. 2. 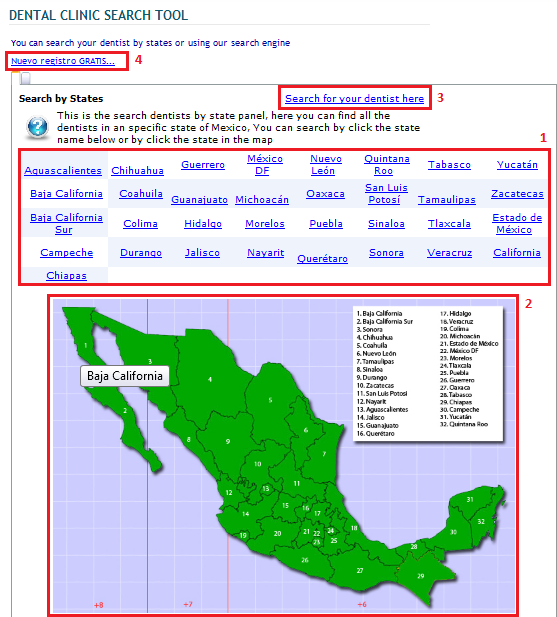 You can search your dentists or hotels by simply click on the state within the Mexico map. 3. This link will redirect you to the advance search as shown in the image below. 4. This link will redirect you to the Create New Dentist or Hotel tools if you want to join us and create your own profile for FREE. Note that when you select any of the states (within the list or within the map) you will be automatically redirected to the advance search tool and show all the dentists or hotels of the state you selected. 1. This link will redirect you to the search by state tool if you need to do a search in another state. 2. You can search your dentist/Hotel by clinic/hotel name, State and Specialty. If you leave the fields in blank Dentists of Mexico Directory will show you all the Dentists or Hotels that have a profile. 3. If you click on the columns headers you can sort your search for each column you want. 4. This list show your search results and you can see the Dentist/Hotel profile page by simply click their profile image. 5. If you want to create your own Dentist or Hotel profile in our page you can do it FREE by simply click this link. 1. Profile Image: Is the principal image selected by the profile manager and is show in the search results table. 2. Profile Name: Is the name of the dentist clinic or hotel as show in the search result table. 3. Phone Number: Is the contact phone number of the dentist clinic or hotel. 4. 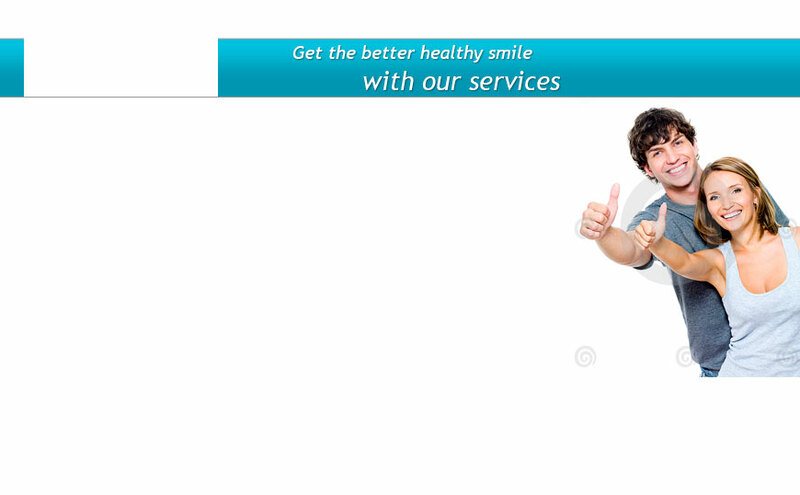 Profile Images List: Is a list of the images presented by the dentists clinic or the hotel. 5. Profile Content: The content shows the information depending of the section you have selected. 6. 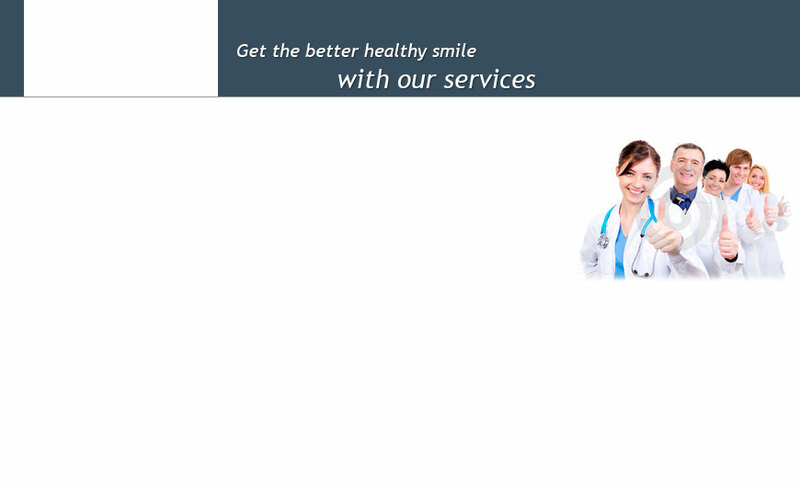 Profile Menu: This menu allows you to see the different information sections of the dentists clinic or hotel profile. About Us: Is the first section shows in the profile when is selected, it shows a short information about the dentist clinic or hotel. 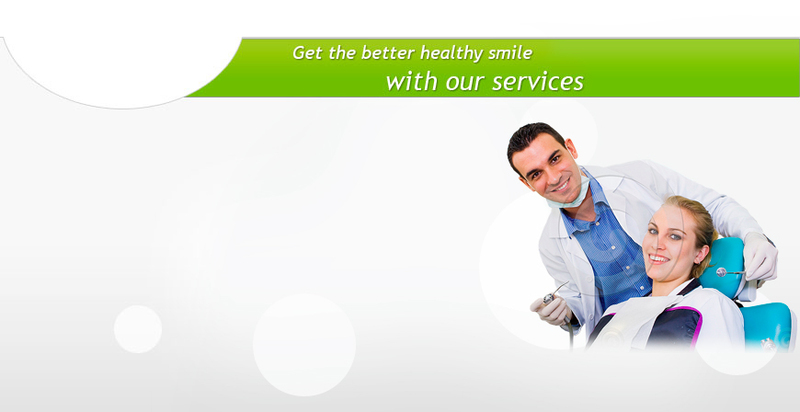 Services: It shows a short information about the services offered by the dentist clinic or hotel. Awards: It shows the different awards and studies awarded by the dentist clinic or hotel. Locations: It shows the locations where you can find the dentist clinic or hotel. Contact: This section allows you to email contact to your favorite dentist clinic or hotel and create an appointment request to an specific date and hour. 1. Name of the potential client or patient. 2. Contact phone of the potential client or patient. 3. Contact email of the potential client or patient. 4. Subject or tittle of the message to send to the dentist clinic or hotel we want to contact. 5. A short message to be sent to the dentist clinic or hotel we want to contact. 6. 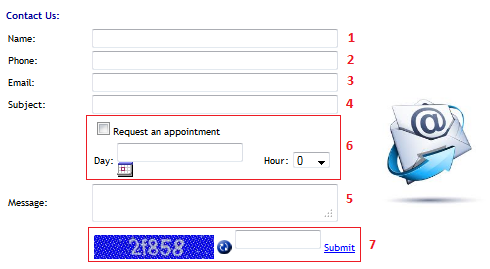 If we want to create an appointment request we have to check the box named "Request an appointment", select the requested day of the appointment and the hour (military format) of the requested appointment. 7. 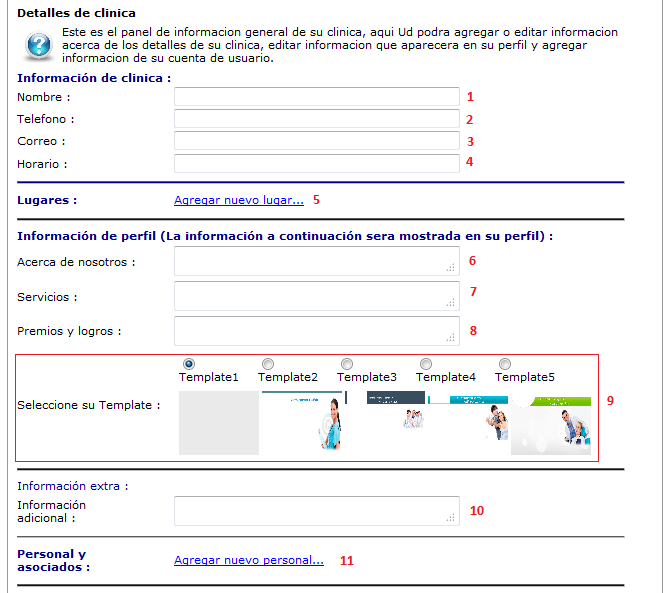 As last field is required to fill the letters show in the image in the next textbox, if we cannot see the image or do not understand the letters in the image we can refresh it by click the blue circle like button next to the letters image, next we just need to click on submit to send the message to our favorite dentist clinic or hotel. When you click on the "Nuevo Registro GRATIS" link you will see a page like the above image, here are the fields of the first part of our new profile creation. 4. Horario: Schedule of your dentist clinic or hotel. 5.1 Nombre de lugar: Name of the location. 5.6 Longitud: Lontitude coordinates of your location. 5.7 Latitud: Latitude coordinates of your location. 5.8 Es mi lugar primario: If you have more than one location and you have a primary location you can set it by select this checkbox. Once you save your changes on your dentist clinic or hotel location you will return to the profile information edit page. 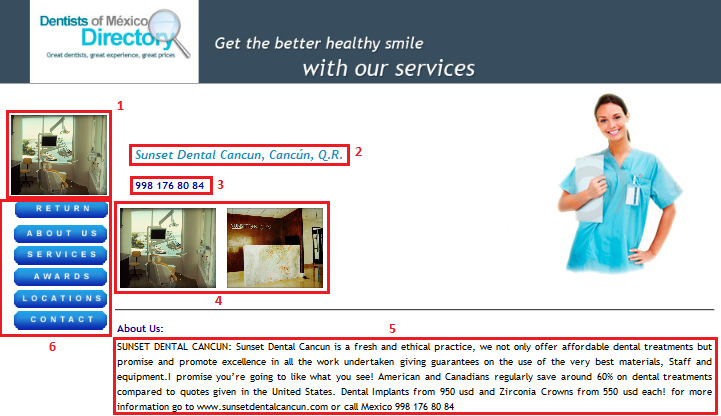 In this section we can edit the information showed in our Dentists of Mexico Directory profile page. 7. Servicios: The services that our dentist clinic or hotel offers to posible patients or clients. 8. Premios y logros: Awards and studies that our dentist clinic or hotel has awarded. 10. Informacion adicional: This is an information for the website administrators about your dentist clinic or hotel. You can use it as comments to the website administrators. 11.2 Apellido: Personal last name of our dentist clinic or hotel. Once you save your changes you will be redirected to the profile information edit page. 12. Credentiales y condiciones: This is the section where we can enter our security information of our profile and accept the Dentists of Mexico Directory conditions before create our profile. 18. Fill the textbox with the letters of the image, if you cannot see the letters in the image just click on the round blue button to refresh the captcha image.